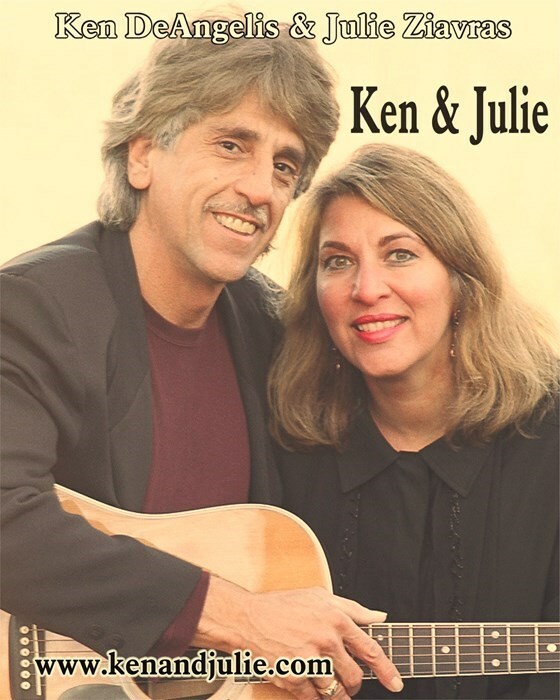 Duo Ken and Julie: Ken DeAngelis and Julie Ziavras, present acoustic folksongs, popular ballads and international music perfect for weddings, parties and special occasions. Accompanying themselves on guitars, accordion and other instruments, they appear either as a duo or with additional players upon request. Julie also appears as a big band singer singing standards, light jazz and classical music. With many years of experience performing on the concert stage and for weddings, both traditional and non-traditional throughout the NY metropolitan area, they showcase outstanding vocals and harmonies, heartfelt songs and tight musicianship. They have an extensive repertory of songs for weddings, drawing from a vast collection of well known favorites in various genres ranging from folk, soft rock, Broadway, international, classical, light jazz, Americana, standards, etc., within an acoustic framework. They are happy to honor requests, whenever possible, and are happy to work with you to choose the ideal repertory. Ken and Julie provide our own sound system and are careful to keep the volume at an intimate and enjoyable level. Visit their website to hear their sound. Due to copyright restrictions, the website does not have sound bites of well known classics, but can be provided upon request. 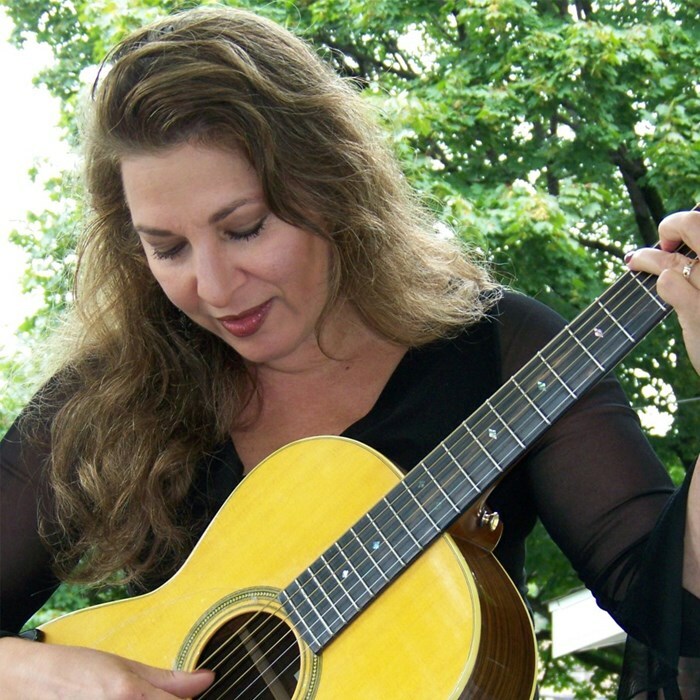 “The pure talent of DeAngelis and Ziavras combine to generate some real gems, sparkling with energy and life” (Cindy Hill, , “effectively expressive of human emotions” (Dr. James Cotter, Times Herald Record), “expressive and riveting” (Richard Ross, The River Reporter), “Wonderfully detailed music that features evocative lyrics, lovely harmonies and melodies that stay with you long after you hear them." (Steven Israel, Times Herald Record). Please note Ken and Julie Acoustic Duo will also travel to Goshen, New Hampton, Campbell Hall, Circleville, Howells, Bullville, Slate Hill, Bloomingburg, Chester, Florida, Maybrook, Montgomery, Blooming Grove, Burlingham, Johnson, Otisville, Sugar Loaf, Thompson Ridge, Rock Tavern, Washingtonville.